A new report produced by WWF (Worldwide Wildlife Fund for Nature) and CAN (Climate Action Network) Europe has revealed that the UK and Germany are the largest contributing sources of greenhouse gas emissions. Although both countries have been advocates for cutting greenhouse gas emissions, 18 out of the 30 highest polluting coal power plants are situated in the UK and Germany. The report reveals that nine of these power plants are located in the UK and produce nearly two-thirds of the UK power industry carbon releases. This study also ranks the UK as being the third most reliant coal nation, behind Germany in first position. WWF-UK energy and climate specialist, Jenny Banks, said: "Our political leaders are justifiably proud of their record on supporting tackling climate change on the global stage. "But they must make sure they're not saying one thing and doing another. Coal is by far the most polluting source of electricity. Tackling climate change means making sure that emissions from coal power are phased out over the next decade." The increasing use of coal in the UK has been linked to the low carbon price in the EU emissions trading structure and the even lower price of coal. 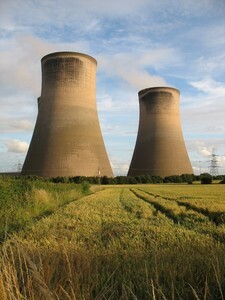 With this, many of the powers plants in the UK are over 50 years old, meaning the coal power sector remains inefficient.